ProtectDISC Software DRM disc check. The US release does not ship on discs, but rather with a Steam key. See the Developer's site for region-specific distributors. The First Edition is marketed as DRM-free but the disc uses ProtectDISC Software copy protection. The Collector's Edition and Shadow Lord Edition include the First Edition along with various non-game bonuses. Delete or rename logo_ds.wmv and logo_pb.wmv. Patch 1.2 updates the retail release to the latest version. The Steam version is already patched. 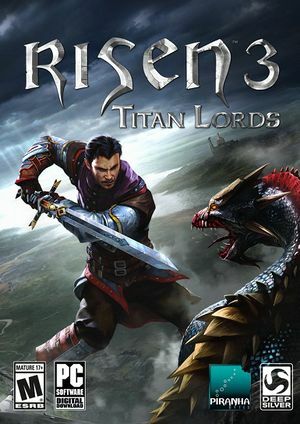 Risen 3: Titan Lords 64-Bit-Upgrade upgrades the retail version to the Enhanced Edition. The Steam version patches through Steam. See the WSGF entry. HUD position is incorrect. Use the Cheat Engine table (32-bit game version only). 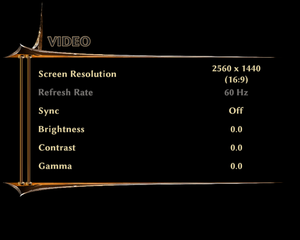 Capped to display refresh rate by default; see High frame rate. 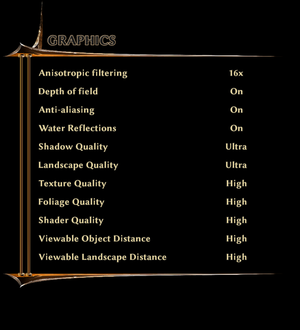 Change Averagefps to the frame rate cap you want. 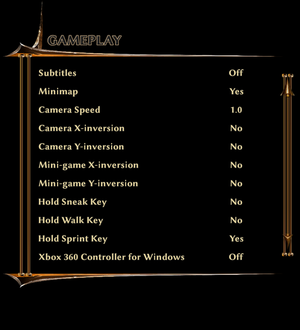 Controller must be manually enabled from the menu. 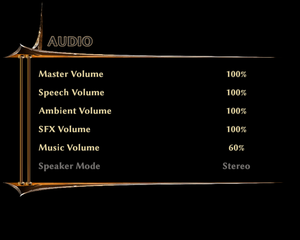 To use a custom combination of audio and text see Different audio and text languages. Official by Buka. Not available in the GOG.com version. Also сrowdfunding voice-over by GameSVoiCE + text correction. Delete any files that are not .PAK format. Change MaxChannels="128" to MaxChannels="256" or MaxChannels="512"
Go to the CPU-related tab. Added in an update. For the retail version use the 64-Bit-Upgrade. Right-click the game in the Steam client and choose Properties. 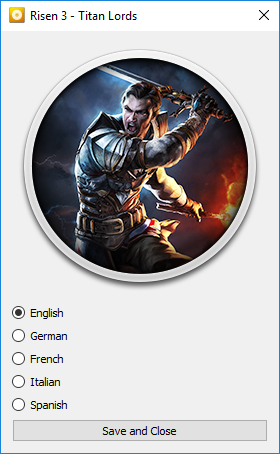 Go to the Language tab and choose the language you want for audio such as voices. Set SubtitleLanguage to the language you want for subtitles and interface. May slightly tax your system. Make a backup copy of the file and then edit ConfigDefault.xml. Find and replace all instances of the values for NPC_Small, NPC_Medium and NPC_Large with higher values. Suggested values NPC_Small="6000.0",NPC_Medium="12000.0" and NPC_Large="18000.0. Find and replace all instances of the values for SpeedTree_Small, SpeedTree_Medium and SpeedTree_Large with higher values. Suggested values SpeedTree_Small="25000.0", SpeedTree_Medium="35000.0" and SpeedTree_Large="50000.0". ↑ 1.0 1.1 File/folder structure within this directory reflects the path(s) listed for Windows and/or Steam game data (use Wine regedit to access Windows registry paths). Games with Steam Cloud support may store data in ~/.steam/steam/userdata/<user-id>/249230/ in addition to or instead of this directory. The app ID (249230) may differ in some cases. Treat backslashes as forward slashes. See the glossary page for details.